Preheat oven to 350 degrees and grease a 24-cup mini muffin tin well. In a large bowl, mix together flour, sugar, baking powder, salt, cinnamon, nutmeg, ginger, allspice, and cloves. In a separate bowl, mix together egg, buttermilk, and vanilla extract. Make a well in the center of the dry ingredients, and pour in the liquid ingredients. Stir until just combined. Add in pumpkin puree and melted butter, and mix until combined. Drop about 1 Tbsp of batter into each mini muffin cup. 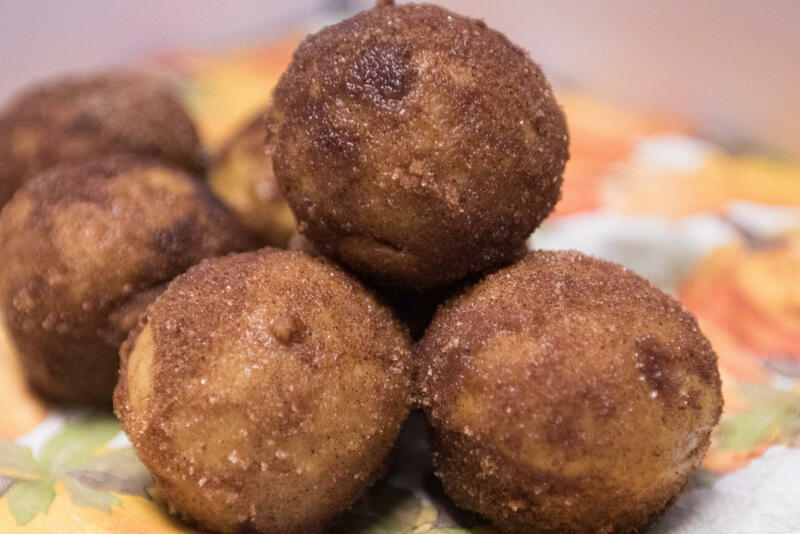 Bake for 9-10 minutes, or until the pumpkin doughnut holes ‘spring’ back when touched. Once the donuts have cooled, roll each doughnut hole in the melted butter, and then immediately roll in the cinnamon sugar mixture. This recipe is definitely a new favorite of mine. These Doughnut holes are super yummy and easy to make. The total preparation time and the bake time was about thirty minutes and are great to whip up when you’re in a rush. Another amazing component to these treats is that the ingredient list is short, and it’s likely that you have them laying around in your pantry or fridge. In total it took me around 30 minutes to complete this process, and you can just refrigerate after cooking and pull them out for a snack at any time.